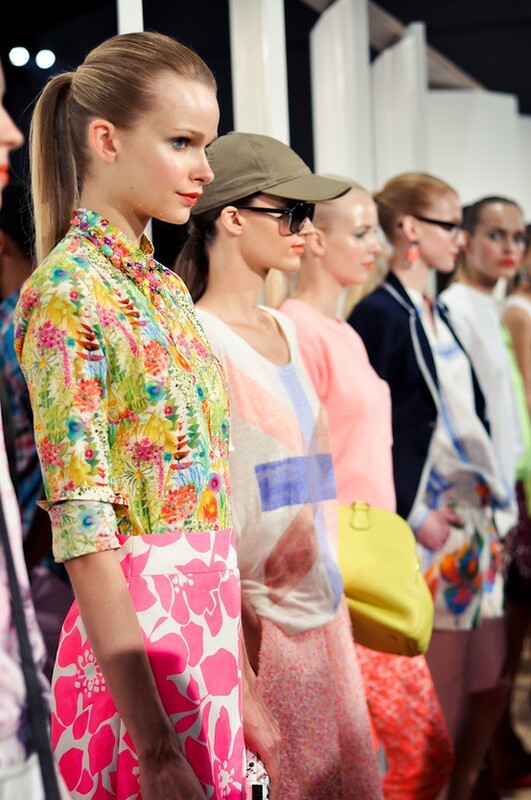 There is so much to love from the JCrew spring 2013 presentation. 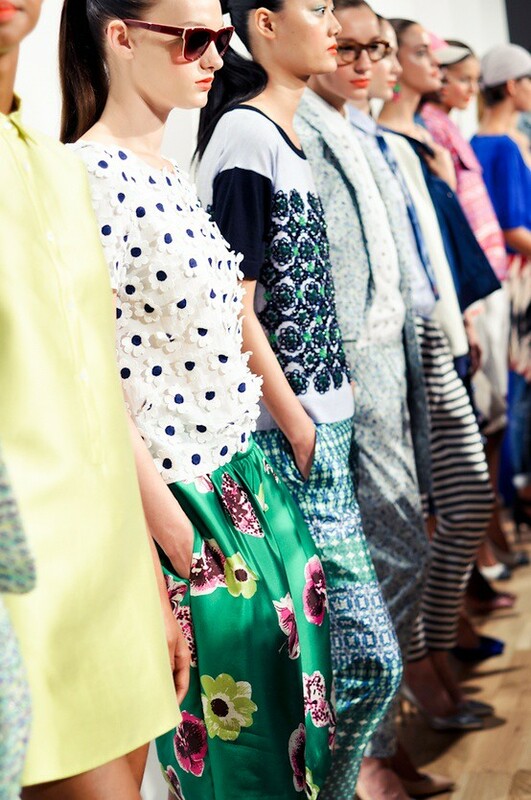 JCrew continues with its signature effortless mixing of prints. The print color palettes of pinks, greens and soft blues breathe some fresh air. I cannot forget the pointy-toe pumps in floral prints and the cap-toe shoes...exactly my spring dream come true. 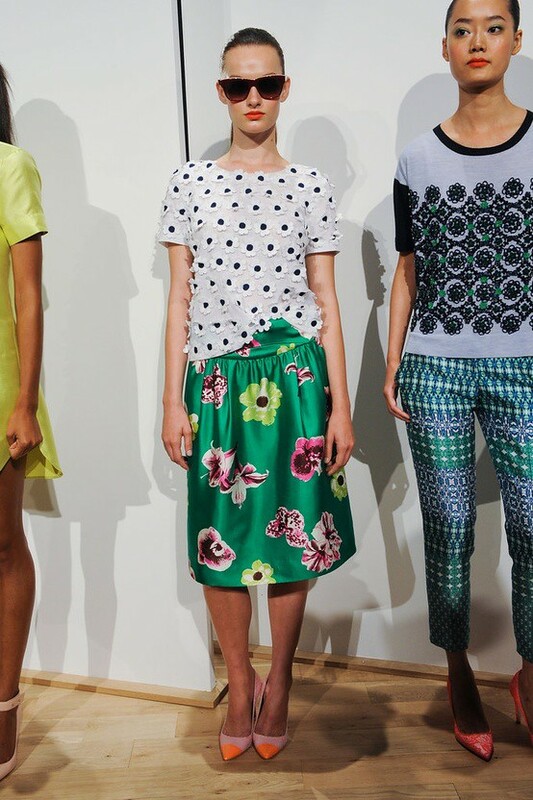 I love the green skirt with the flowers. It shall be mine! I think this collection is fabulous and I qould like one of each piece please, LOL!! love it and it's so you. Those green pumps are RAD! !